Posted on May 31, 2016 by academicbookfuture	in Academic Book Week, research and tagged book sprint, collaboration, Dr Spencer Jordan, University of Nottingham. This guest post has been written by Dr Spencer Jordan (Assistant Professor in Creative Writing, University of Nottingham). 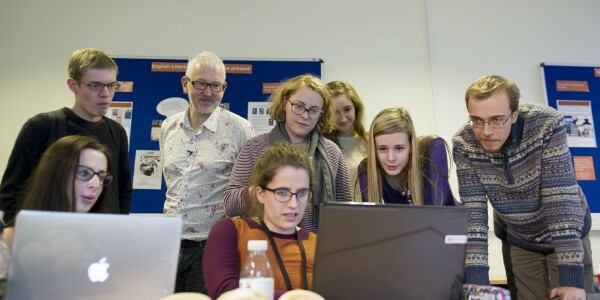 Dr Jordan led a book sprint with ten students at the University of Nottingham during Academic Book Week (9-16 November 2015), which involved writing a book in just three days. The challenge was a huge success, and this post outlines the event itself, as well as some of the lessons learned, which have broader implications for thinking about the way we work as academics. Could you write, edit and publish a book in three days? That was the challenge I set ten first-year School of English students at the University of Nottingham who applied to my open invitation. The challenge used the methodology of ‘book sprinting’, where a book is produced collaboratively over a very short period of time, normally between three or five days. In part the challenge was a practical examination of academic publishing, as part of Academic Book Week. But it was also a fantastic way for English students to immerse themselves in the real-life practicalities of book publishing.The event took place between the 9th and 11th November 2015. I acted as the facilitator but essentially everything was done by the students. It was decided early on that the book would be a student’s guide to starting university, a sort of rough guide to student life that would complement the existing, more official, documentation supplied by the University and UCAS. Interestingly, it was decided to include factual as well as creative responses, including poems and short stories as well as photographs taken by the students. The legacy of the book sprint isn’t just the book. It’s also the video that Eve Wood and Simon Barnett took over the three days and then edited. I think the video shows that the book sprint really did make an important contribution to The Academic Book of the Future. The students worked collaboratively, mainly online, using cloud computing. This allowed them to work 24/7, very often in different places. The students were able to make collaborative decisions, either face to face, or virtually. This meant that they were able to maximise their time, making as much use of the three days as possible. Sometimes as academics, particularly in the Arts and Humanities, we forget about collaboration. In my own work, collaboration has been laborious and difficult. And yet the benefits of collaborative working, particularly interdisciplinary work, can add a new dimension to our research. This synthesis comes not only through a shared academic interest but also through a willingness to engage with what might be called a collaborative methodology. I think the students have shown us the way here through the three-day Book Sprint, and I personally want to thank them. The Academic Book of the Future project would like to thank Dr Jordan, all of the students who took part in the book sprint, and Neil Smyth, for organising this wonderful activity for Academic Book Week. Posted on May 16, 2016 by academicbookfuture	in academic books, Open Access and tagged AHRC, Goldsmiths, John Baily, Laurent Pugin, Mark Everist, Richard Lewis, Simon McVeigh, Tim Crawford, Transforming Musicology, Yun Fan, Zoltán Kőmíves. This guest post was written by Richard Lewis (Goldsmiths) of the AHRC Transforming Musicology project. It outlines a workshop on ‘Musical Scholarship and the Future of Academic Publishing’, sponsored by The Academic Book of the Future project, and held at Goldsmiths, University of London on Monday 11th April 2016. This post first appeared on the Transforming Musicology project website, and is reproduced here with kind permission from Richard. A couple of months ago Marilyn Deegan, who is emeritus professor at King’s College London, approached Tim Crawford asking him to put together a workshop as part of their Academic Book of the Future project (2014-2016, PI: Samantha Rayner). The project is a partnership between King’s and the UCL Centre for Publishing, and is funded by the British Library and the AHRC. The project has included a lot of work with practising scholars but Marilyn was keen to engage the musical community so we accepted her invitation. The workshop was held at Goldsmiths on Monday 11 April and attracted just under 40 delegates. The programme comprised six invited presentations and a roundtable discussion with a mixture of scholars, musicians, and library professionals. This post is a report on the proceedings of the day. The day began with an introduction to The Academic Book of the Future project from Rebecca Lyons (UCL) who is the research associate on the project. Bex described the background of the project and some of its activities so far, including the inaugural Academic Book Week in November 2015. She described how much of their early work has been involved with forming a community coalition by consulting with publishers, academics, and other stakeholders in the academic book, and attempting to address fundamental questions around the nature of academic publishing. Bex outlined some of their future plans, which include an online modular publication, called a BOOC, which will gather together content from a variety of sources including audio, essays, blog posts, and Storifies. Mark Everist‘s (Southampton) presentation was pitched as a warning against the apparent benefits of Open Access publishing. Mark spoke from three different perspectives: as president of the RMA, as head of a research-intensive music department, and as a publishing academic. He argued through some of the hypothetical implications to the RMA of going fully Open Access. The RMA runs three publications: the Journal of the RMA, the RMA Research Chronicle, and a monograph series and publishes with Routledge. Mark described some of the benefits of digital documents over paper, including convenience of access and searchability. But he argued that online publication of scholarship does not involve any less work than paper publication: authoring and review is carried out by academics as part of their contractual responsibilities, but copy editing (including fact checking and typesetting), maintenance and sustainability, and promotion and marketing are carried out by professional publishers and these cost money. Mark argued that if scholarship were to go online and be Open Access, none of these processes could be avoided and so the costs would still need to be covered. Mark summarised by arguing that the biggest question around going Open Access is: who takes the risk? Currently it’s a commercial publisher, but if the RMA were to move completely to Open Access it would have to absorb that risk itself. Following his presentation, Mark answered questions on alternative business models for publishing including that of the Open Library of Humanities which is funded by the Mellon Foundation and by library subscriptions. Another question concerned the practice in science publishing of requiring authors to produce so-called camera-ready copy using a template. Mark responded that science articles are normally short and so proof-reading and fact-checking is much more tractable for authors or reviewers, whereas humanities articles tend to be much longer so these copy editing tasks are better handled by specialist professionals. Mark also noted that he believes, because of the relative ease of science publication, the drive for Open Access is coming from the sciences. We described our intention to make use of the affordances of the Web to help widen access to our research, in particular by allowing commenting, custom citation, and reader contributions (especially contributing to our data sets such as leitmotive identification or optical music recognition correction). Similarly, we outlined our intentions to use the publication as an access point for researchers who may want to make use of our data sets in their own research. John Baily (Goldsmiths) began his presentation by mentioning his recently published book, War, Exile, and the Music of Afghanistan (Ashgate), which includes a DVD of films which John described as integral to the text, going on to argue for the complementary properties of text, sound, and video. He gave an account of his extensive use of film-making technology over the course of his career as an ethnographer and observational film-maker, arguing that technological developments have had a significant impact on the practice of ethnography. Following John’s presentation there was some discussion on the relation of the DVD to the text of his book and whether a digital publication may have provided richer opportunities for integrating the two. John partly answered this by demonstrating his online Afghan rubab tutor which mixes text, music notation, and three-camera videos. Laurent Pugin (RISM) spoke about the initial meeting of a new NEH-funded project, Music Scholarship Online (MuSO). The project may become part of ARC (which backs other online projects including NINES and 18thconnect) and make use of the Collex (COLLections and EXhibits) Semantic Web archive management system. Laurent described several other tools published by ARC including TypeWright for correcting optical recognition output and BigDIVA for making visualisations from large data sets. Laurent argued that it’s not yet clear how MuSO may fit into the Collex system as that system’s affordances for text and metadata may not serve musical content so well. He gave the example of Collex’s full-text search system arguing that it wouldn’t be applicable for searching in music notation collections. Similarly, he argued that the FRBR concepts used in Collex are not necessarily suitable for music sources. Laurent went on to describe RISM’s intention to work with the other so-called “R projects”: RILM, RIdIM, and RIPM to build bibliographic research tools for music scholars. He demonstrated how the traditional RISM and RILM referencing schemes may be updated for online usage. For RISM, this is now largely completed in the shape of their Linked Data interface. Laurent reported that RISM and RILM are in active negotiation over improving their inter-resource hyperlinking. Yun Fan/樊昀 (RILM) reported on some early-stage work at RILM in producing a Semantic Web ontology for musical concepts to help them develop their database of music literature. As motivation for their work Yun gave the example of being able to answer a natural language query about music: who composed the music for Star Wars? And showed how the search engine Google is already able to deal with this. She argued that Google is effectively using something like an ontology to help make this query possible. She began by describing some of the key properties of Semantic Web ontologies and the benefits they can bring. She mentioned Yves Raimond’s Music Ontology arguing that it was too focused on recorded music production to be suitable for RILM’s needs. She described how their increasing internationalisation is requiring that they update their indexing and cross-search to allow them to relate concepts in different languages. They are hoping that developing an ontology will assist in this aim. Yun gave some examples of RILM’s existing hierarchical subject headings, demonstrating how they are very biased towards European art music. She spoke about some of the difficulties in formalising musical concepts, giving the example of an encyclopedia definition of gospel music which is richly detailed and argued that it is difficult to pick out the precise concepts embedded in such prose knowledge. Following her presentation, there was discussion about the importance of re-use in ontology design: where suitable concepts already exist in other ontologies it’s best practice to point to them rather than replace them. There was also discussion about how RILM, which is a closed access resource, will actually make its ontology public. Zoltán Kőmíves‘s (Tido Music) presentation was centred around Tido Music’s vision for the future of music publishing. He argued that print music publishing is not going to provide value in the long term and outlined their goals to create enriched and connected musical objects, musical objects as “living creatures”. He showed some examples of the iOS software they are developing for displaying musical scores in a dynamic and responsive way and for integrating extra-musical content into scores. Zoltán argued that academic and what he called “trade” publication needs are quite different (although individuals can be and often are members of both audiences). He gave the example of “preserving uncertainty”, describing how academic audiences often want to know about the uncertainties in musical sources, whereas trade audiences (especially performers) instead want to be presented with a single editorial selection in such cases. As illustrations of this he showed the Online Chopin Variorum Edition and the Lost Voices project. Following his presentation, Zoltán answered questions on the future publication strategy of Tido explaining that their next publications will be piano works for beginners. Discussion also covered the current restriction of Tido’s software to iOS and how this is not good for long-term sustainability. Following the presentations there was a round table discussion chaired by Simon McVeigh (Goldsmiths). The speakers were joined by: Paul Cassidy, Sarah Westwood, and James Bulley (all PhD students in Music), Jonathan Clinch (Research Associate at Cambridge), and Richard Chesser (head of music at the British Library). Following introductions, Richard Chesser began the discussion, arguing that everything that had been presented during the day was vital to the work of the British Library. He mentioned that digital publications already come under the rules of legal deposit and questioned how the restrictions of legal deposit will interact with the rights afforded to users of resources that are also open access. He also argued that legal deposit may help to address some of the sustainability issues of digital resources. Mark Everist next raised a topic that had been introduced earlier – prestige and open access publication, suggesting it’s going to be somewhat of an obstacle or milestone. He argued that most academics know the value of a particular journal or publisher and will want to profit from that as much as possible and that therefore open access publications need to retain the brand of the publisher. Tim Crawford mentioned that prestige and quality are not necessarily correlated with impact, pointing out that it’s possible to perform well under various publication metrics – especially on the Web – without necessarily producing high quality work. Mark argued that impact factors are currently more significant in the sciences than they are in the humanities but that a move to online publication may alter this. Laurent Pugin described the patchy uptake of digital techniques in publishing and libraries. He noted how libraries are now often digitising books that were actually digitally printed and argued that it would be better for libraries to be allowed to archive the original digital versions. Richard Chesser mentioned that under legal deposit legislation libraries are entitled to the best version available. A question from the audience was asked about how people make use of Tido’s scores, particularly whether they know of performers playing from tablet computers, and whether their software is useful for ensemble performance. Zoltán Kőmíves argued that print music publications may still have their place in performance situations but also mentioned possible future display technologies that may be more suitable for performance. Tim Crawford and Jonathan Clinch discussed potential problems such as computers crashing or malfunctioning during a performance, or systems where the conductor gets to dictate the page turns. Zoltán argues that a potentially useful feature would be to allow annotations to be shared between performers. Another question from the audience addressed the topic of reading habits and what reading of the future may be like. One member of the audience responded that Amazon have done some research based on the data they can retrieve from Kindle devices about how people read their eBooks, including where they start and stop. Amazon’s findings include that non-academics read books more closely. From the day’s discussions it seems that there is a strong drive for increasing open access, but there are numerous serious issues that need to be resolved before it can become more widespread. It also seems that digital publication (whether open or closed) is not likely to replace print entirely in the near future, especially for music publication, but innovations will continue to push the boundaries. Posted on May 9, 2016 by academicbookfuture	in academic books, Open Access and tagged Chile, Manuel Loyola. Today’s guest blog post considers the academic book from a Chilean perspective. 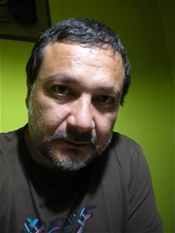 The author Manuel Loyola is academic and scientific editor at the Universidad de Santiago de Chile and director of Ariadna Editions (open access) http://ariadnaediciones.cl/, as well as editor of the peer-reviewed journal Izquierdas: http://www.izquierdas.cl/. According to ISBN records, the academic book in Chile has had little relevance during the last decade with regard to titles published every year. In fact, the books published by all the universities of the country (of which there are 57 in total) represent 11% of the roughly 5500 books published here each year. In addition to university publications, there are also many small and medium publishing houses focused on academic content, which may increase the figure for academic books from 11% to around 20%. Behind these numbers, the Chilean academic book is subject to different and usually problematic realities. For example, we are not talking about a relatively homogeneous production in terms of national geography: the capital, Santiago, is responsible for more than 60% of the output. Additionally, within this geographical area there are just a few higher education institutions that concentrate most of the production, especially the University of Chile, Pontifical Catholic University, and the University of Santiago – all in Santiago. The distribution and use of academic books also presents some interesting considerations. They have a low circulation – usually they do not have their own distribution channels because there is not a proper business model defined according to formative and educational goals. Often academic books depend on the mechanisms and strategies of private firms that are usually not interested in these kinds of books. These issues hinder the already precarious life of academic publishing, combining with a lack of collaboration and common strategies. Why is the Chilean academic book (published by universities in particular) in this situation? I believe that the answer is in the lack of effective and coherent publishing policies. The university authorities as well as those from other scientific entities of the country know little or nothing about publishing activity. Maybe this would not be a problem if these authorities promoted the development and growth of this area. But unfortunately this is not the case. Academic publishing work is in the hands of people with good intentions, but who may be inexperienced. This causes frustrations. However, the goal of this post is not to suggest a dramatic and pessimistic forecast. Despite what I have previously stated, our field offers many possibilities to improve and develop a better performance of the local academic book. In the short run, we must take advantage of the importance of the state in the provision of human and financial resources focused on academic production. Related to that is the increasing support for open access publishing, providing easier access to research. Additionally, there have been advancements in scientific publishing and enhanced discussions for those working in this field, establishing relationships with foreign academic and publishing organisations, and with the scientific community. Finally, the continued development of academic journals offers hope for a favourable change with books too, showing the potential for improvement.